According to the Occupational Outlook Handbook, job growth for psychologists is expected to increase at an average rate over the next decade. Jobs are expected to grow by about 12 percent through the year 2018, which is the average growth rate predicted for all occupations. The increased demand for psychological services in hospitals, schools, social service agencies, mental health centers, substance abuse treatment clinics and private companies is expected to drive the need for more trained psychologists. Of course, the job outlook may differ from various specialty areas within psychology. The U.S. Department of Labor suggests that job opportunities will be the most plentiful for those with doctoral degrees in applied specialty areas such as counseling or health psychology. As issues such as behavior problems, bullying and learning disorders become more prominent, the demand for qualified school psychologists will go up. "Spurring demand for clinical psychologists will continue to be the rising healthcare costs associated with unhealthy lifestyles, such as smoking, alcoholism, and obesity, which have made prevention and treatment more critical. An increase in the number of employee assistance programs, which help workers deal with personal problems, also should lead to employment growth for clinical and counseling specialties. 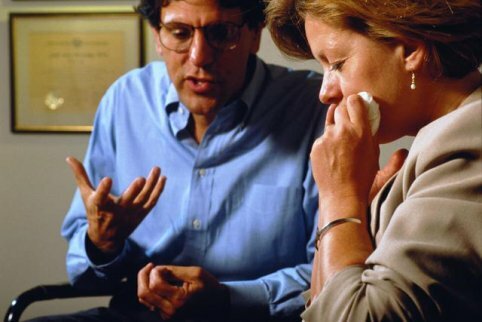 More clinical and counseling psychologists will be needed to help people deal with depression and other mental disorders, marriage and family problems, job stress, and addiction. The growing number of elderly will increase the demand for psychologists trained in geropsychology to help people deal with the mental and physical changes that occur as individuals grow older. There also will be increased need for psychologists to work with returning veterans. Industrial-organizational psychologists also will be in demand to help to boost worker productivity and retention rates in a wide range of businesses. Industrial-organizational psychologists will help companies deal with issues such as workplace diversity and anti-discrimination policies. Companies also will use psychologists' expertise in survey design, analysis and research to develop tools for marketing evaluation and statistical analysis." The type of degree a job seeker holds also plays an important role in determining job outlook. Job prospects are strongest for those who have a Ph.D., Psy.D. or specialist degree in an applied area. School psychology, counseling psychology and health psychology are cited as particularly strong areas. Those who have additional training in research methods, technology and computer science may be at an advantage over those who do not have experience in these areas. Not as many as with a doctorate or masters. - Lists the entry level jobs.